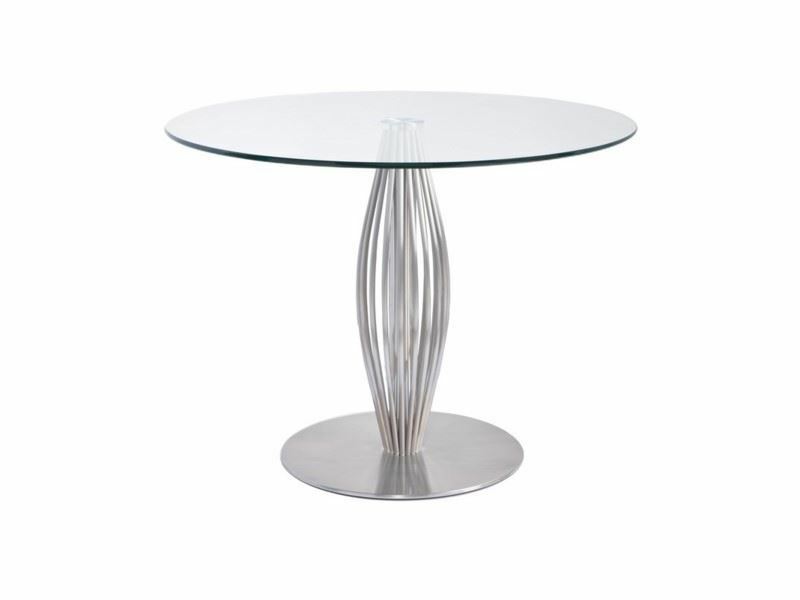 Crafted in brushed stainless steel and tempered safety glass, the Linda Dining Table is a perfect small scale dining table solution. Great for breakfast nook and small condo dining areas. The base is crafted in a unique ribbed pedestal design. Available in two sizes. Materials: Stainless Steel. Tempered Glass. The Air Side Chair. A minimalist design made by Bellini Modern. The metal frame is ergonomically shaped for comfort and durability. This sleek design, showcasing wonderful tailoring and exposed brushed metal legs, is available in multiple colors and is in stock ready for fast delivery. Crafted in black or white leather, the Jolie side chair is amazingly plush and comfortable. The polished chrome frame provides a slight amount of suspension and sprig when you initially sit in the chair. As is usual with Bellini Modern designs, the polished steel frame features a unique wrap around the entire back of the chair. The high back and ergonomically formed seating make the Jolie one of Bellini Modern's most comfortable designs to date. The Lotto Side Chair by Bellini Modern. Made in black leatherette with a subtle contrast silver stitch. The Lotto is a supremely comfortable ergonomically formed dining chair. 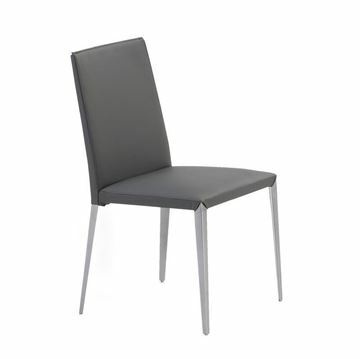 The polished steel frame provides great comfort by allowing a slight give and spring when you first sit down. The curved back rest perfectly hugs you, making any dinner experience a great one. Bellini Modern's Bernice Red Leather Dining Chair. This is a unique and outstanding design which accentuates form and function. Perhaps this is shown best by the chair's cantilever support structure. Graceful lines and attention to detail make the Bernice Side Chair a stylish and desirable choice for your contemporary and modern dining table. Available in 4 attractive colors to personalize the best fit for your room. 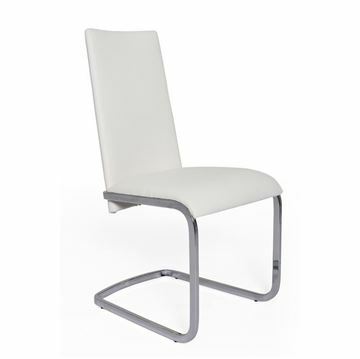 Bellini Modern's Bernice White Leather Dining Chair. This is a unique and outstanding design which accentuates form and function. Perhaps this is shown best by the chair's cantilever support structure. Graceful lines and attention to detail make the Bernice Side Chair a stylish and desirable choice for your contemporary and modern dining table. Available in 4 attractive colors to personalize the best fit for your room. 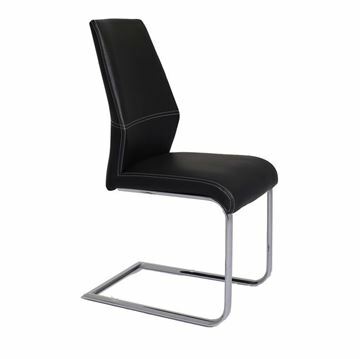 Bellini Modern's Bernice Black Leather Dining Chair. This is a unique and outstanding design which accentuates form and function. Perhaps this is shown best by the chair's cantilever support structure. Graceful lines and attention to detail make the Bernice Side Chair a stylish and desirable choice for your contemporary and modern dining table. Available in 4 attractive colors to personalize the best fit for your room.